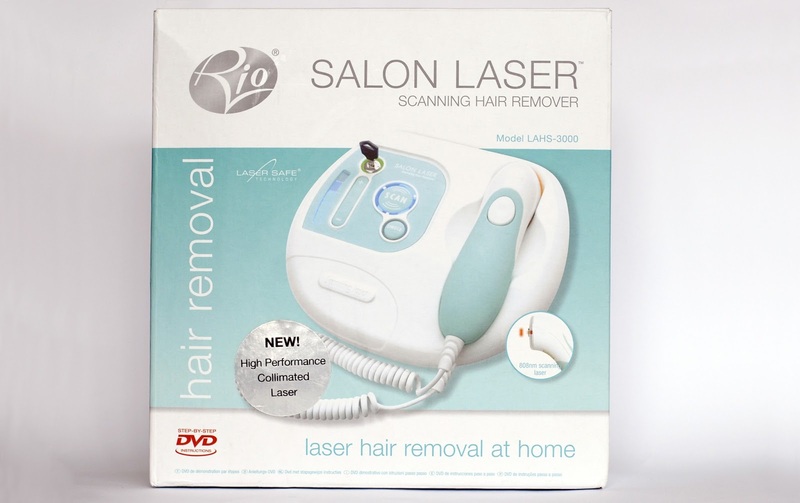 The Rio Salon Laser Scanning Hair Removal System x20 is an at home permanent hair removal tool that uses a collimated laser to destroy hair roots and prevent hair regrowth. The quoted price in my local salons for a full course of laser hair removal is upwards of £550 just for the underarms, so with the Rio System (which needs no replacement parts or accessories) coming in at around £145 from shops like Tesco Direct, Amazon and Asda Direct it seems like an absolute bargain. I managed to pick up the Rio Salon Laser a while ago when it was on sale thinking it might be the solution to all my hairy woes, but in all honestly have been a bit scared to start using it properly! As the weather has started warming up I've decided to get it back out the cupboard and give it a proper go to review it and see how it performs on it's promise of permanent hair reduction at home. This post is an introduction to the unit and my thoughts before starting a regular routine, I'll be posting updates in the coming weeks/months to let you know how I'm getting on! This hair removal laser destroys the hair root with a high beam of energy and scans across the skin to target up to 20 hairs at once. The Rio Salon laser is suitable for the leg, arm, underarm, chest, bikini area and face so I thought it would be perfect for tricky areas where it's difficult to see exactly which hair you're pointing the beam at. While I'm not exactly a gorilla girl with manly fur, I do have quite dark hair in the places where its naturally coarser which makes the area very angry and sore when I shave it every day and it needs regular exfoliation to prevent ingrown hairs and dark bumps. I've tried out various waxes and do like the results but it doesn't last all that long for me and am not very keen on having to have a certain length of regrowth before waxing again (let alone not being very keen on the pain!). At the moment I shave my underarms every couple of days, sometimes a bit less depending on the weather/what I'm planning to wear to give it a bit of time to recover. The other treatment area (which I shall refer to as my 'ladyplace'...!) I shave two or three times a week as it gets particularly irritated and I don't really bother doing it unless someone’s going to see it. This laser is made up of two parts that make it look a bit like a corded phone- the main unit has buttons on to control the style and intensity of the laser beam and a 'security button sequence' must be keyed in after it has been activated with a key for safety. The wand has a big button on the back that controls the laser, and on the front has two pins that must contact the skin during treatment as well as an aperture that indents the skin and acts as a guide to show you the area that’s just been treated. The unit comes with an instruction leaflet, information guide and also a DVD that gives you all the facts and tips before you get started on lasering yourself silly. Obviously this machine wouldn’t be sold if it wasn't completely safe, though there are a few phrases that caught my apprehensive eye such as 'faint burning smell', 'smoke deposits' and 'pin prick sensation' but my mind is settled by the thought of nice smooth hair free skin. I think one of the biggest challenges, and the thing that put me off continuing when I'd previously thought of using this regularly is the fact that the treatment area is only 7x5mm, which needs to be overlapped by a third in a grid pattern for effective coverage, and at the highest power level the laser runs for up to 50 seconds each time. Luckily I'm only hoping to do smaller areas but it will take commitment to keep this up regularly and would probably take all day if you're planning to do your legs! You also need to shave before each treatment to make sure the laser gets down to the root, which shouldn't be a problem as treatment doesn't need to be completed every day. My fair skin should be able to take all 5 of the power levels (according to the helpful Fitzpatrick Skin Phototype guide) subject to a patch test in each area. 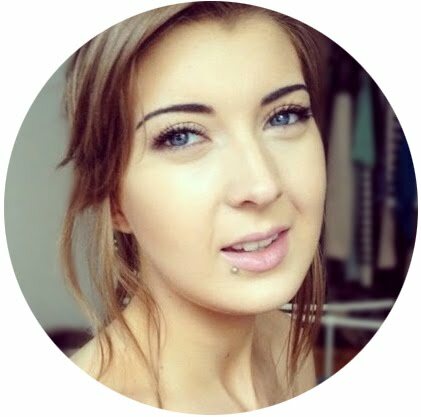 Due to the phases of hair growth in the areas I want to treat, hair reduction should be seen after the first couple of treatments and will start to become permanent at around 3 months. The guide suggests treating the areas every 3-4 weeks with at least 6 treatments in 6 months to see long lasting results, which seems like a long time but given the amount of time us ladies have already been tackling body hair another few months isn't going to make a world of difference. In the next post of this series I'll have done one, maybe two treatments and will report back on how it went along with any early results. If you've ever tried laser hair removal let me know how you got on, and if you haven't then wish me luck! We sound extremely similar hair type wise so I'm really interested to see how effective this is. I have an epilator and have tried it a couple of times but the pain is just unbearable. My mum's tried it and doesn't seem to feel any pain. I really want to try and get used to the pain but its so hard. laser scanning Houston, Texas services also used in constructing site to design up the project. It is the flawless technology of new era. It give exact measurement of every details.